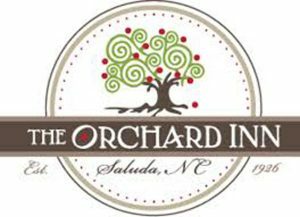 Whether you descend through the mountains from the north, or wind up through the foothills from the south, the rest of the world falls away as you enter a mountain top escape on 20 peaceful acres at The Orchard Inn. Choose from nine guest rooms in the main building and five cottage suites complete with fireplaces, whirlpool baths, and private decks – all comfortably furnished with period pieces and antiques, many with queen-size four-poster beds. Enjoy a full breakfast served on the glassed-in dining porch overlooking the Warrior Mountains; then enjoy the great outdoors: hiking, fishing, kayaking and birding are nearby activities, as wel as golf and tennis within a few minutes’ drive. Everyone is invited to enjoy some fine dining at Newman’s Restaurant in Saluda, NC. Whether you are staying in our cozy accommodations at Orchard Inn or a local looking to enjoy an upscale dining experience, you will love our farm-to-table menu.At Newman’s, you will enjoy the finest and freshest offerings on this side of the Blue Ridge Mountains. Our menus are built around locally-sourced, organic ingredients that are chosen based on seasonal availability. Much of our produce is sourced from our own 4,000 sq. ft. organic garden and mini-orchard. Each week, our chef builds the prix-fixe menu around what ingredients are available. 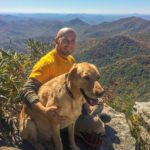 Enjoying farm-to-table cuisine as you look out over the North Carolina mountains is an experience unlike any other. Paired with our extensive wine list, you’ll want to come back over and over again. Contact us today to make your reservation, or you may reserve your times on OpenTable!